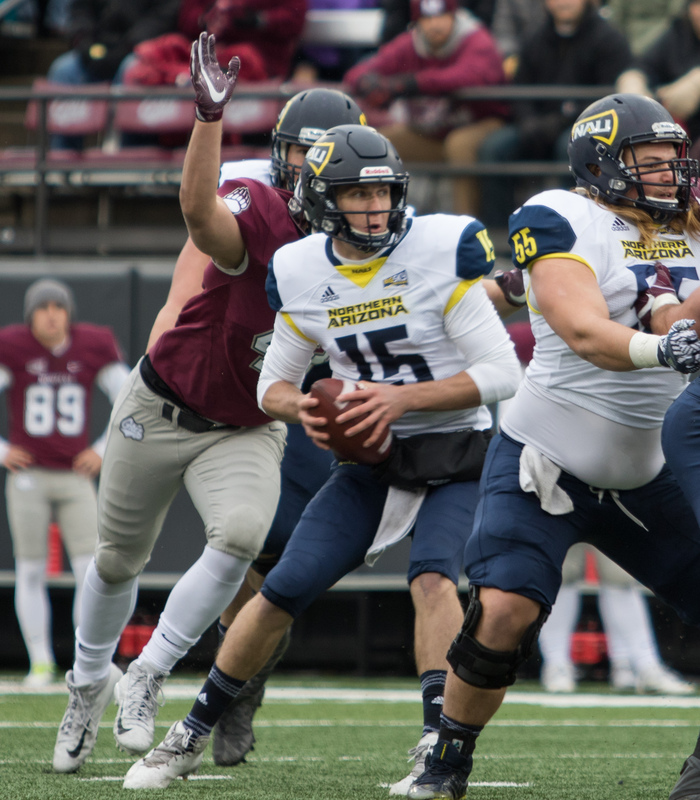 A trio of sophomore gunslingers will ensure the Big Sky Conference is a prolific offensive league in the immediate future. 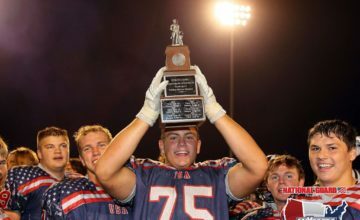 Northern Arizona’s Case Cookus and UC Davis’ Jake Maier each earned Sophomore All-American honors from Hero Sports, the national news gathering outlet released on Monday. 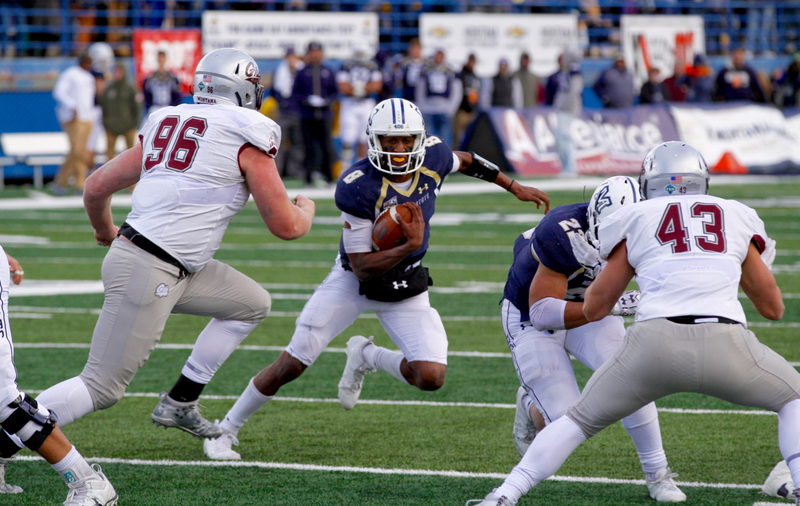 Montana State sophomore quarterback Chris Murray earned Sophomore All-American honors as an offensive all-purpose player. Cookus, the 2015 Jerry Rice Award winner as the national Freshman of the Year, bounced back from a injury-ruined 2016 to earn first-team All-Big Sky honors. The 6-foot-4 signal caller completed 58 percent of his passes for 3,413 yards, 22 touchdowns and just six interceptions in leading NAU to a 7-5 record and a berth in the FCS playoffs. Cookus did it despite All-American wide receiver Emmanuel Butler missing all but the first two games of the season with a shoulder injury. Maier transferred from Long Beach City College to quarterback one of the country’s most explosive passing offenses. The 6-footer threw for 3,669 yards and 26 touchdowns during Davis’ 5-6 campaign. His 333.5 passing yards per game ranked second in the Big Sky and fifth in the country. Murray, the 2016 Big Sky Conference Freshman of the Year, averaged 247.4 yards of total offense per game in 2017. The elusive dual-threat rushed for 1,124 yard, the second-most in the Big Sky and the 11th-most in the country. Murray led all FCS quarterbacks in rushing yards as he rushed for 21 more yards than Kennesaw State quarterback Chandler Burks. The Owls run the flex-bone spread option. Southern Utah center Zach Larsen and UC Davis tight end Wesley Preece joined the quarterbacks as Big Sky sophomores on Hero’s All-American list. Larsen started all 12 games for the co-Big Sky champion Thunderbirds. The standout center earned first-team All-Big Sky honors and All-American recognition from Phil Steele. Larsen is the younger brother of Cody Larsen, a former SUU standout who played three seasons in the NFL for the Baltimore Ravens and the Denver Broncos. Preece was among the most productive tight ends in the league. The 6-foot-5, 238-pounder caught 36 passes for 568 yards and a team-best nine touchdowns. 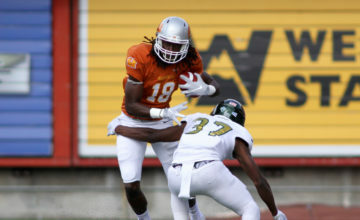 The touchdown catch total led the league for the third-team All-Big Sky selection. Honorable mention sophomore All-Americans included Montana kicker Brandon Purdy, Eastern Washington running back Antoine Custer, Weber State defensive end Jonah Williams and Portland State tight end Charlie Taumoepeau. 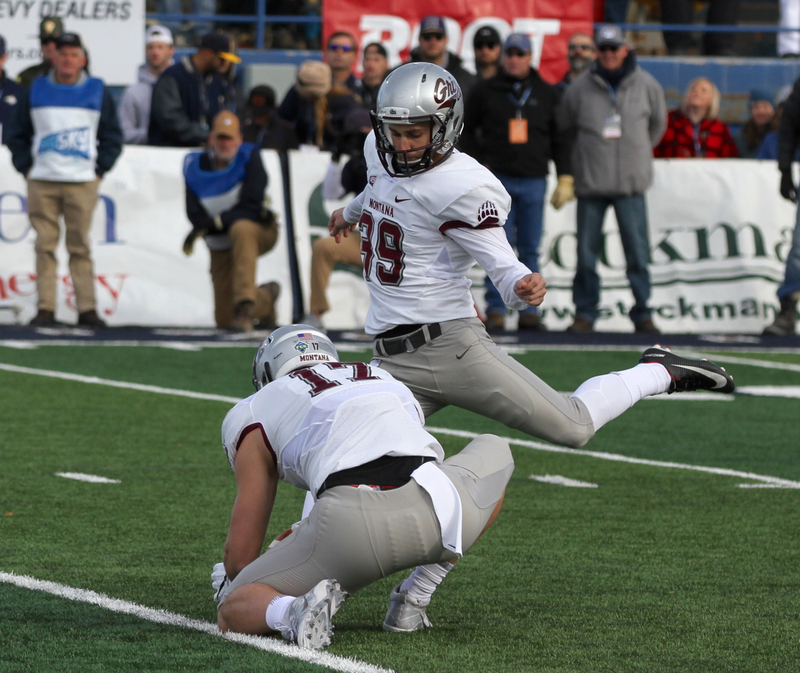 Purdy hit three field goals in each of Montana’s final three games. The former walk-on from Kalispell Glacier finished 15-of-17 on field goal attempts, including making all six of his kicks between 30 and 39 yards and two of his three attempts of more than 40 yards. He hit a career-long 47-yarder against Northern Colorado. He also hit 44 of his 47 PATs to finish with 89 points and third-team All-Big Sky recognition. Custer rushed for 776 yards and 10 touchdowns during EWU’s 7-4 campaign. He also caught 21 passes for 276 yards and two scores in earning second-team All-Big Sky honors. Williams earned second-team All-Big Sky honors for the league co-champion Wildcats. 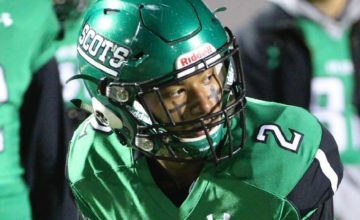 He finished his sophomore season with 37 tackles, six tackles for loss and 5.5 sacks. Taumoepeau had 45 catches for 673 yards and three touchdowns for Portland State.